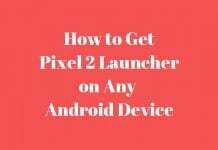 It provides the conveyance to the users while navigating Chrome for Android. The small box next to the address bar displays as how many tabs are opened. Due to some reasons, Google decided to drop this feature as a default option in the recent Lollipop version of it. 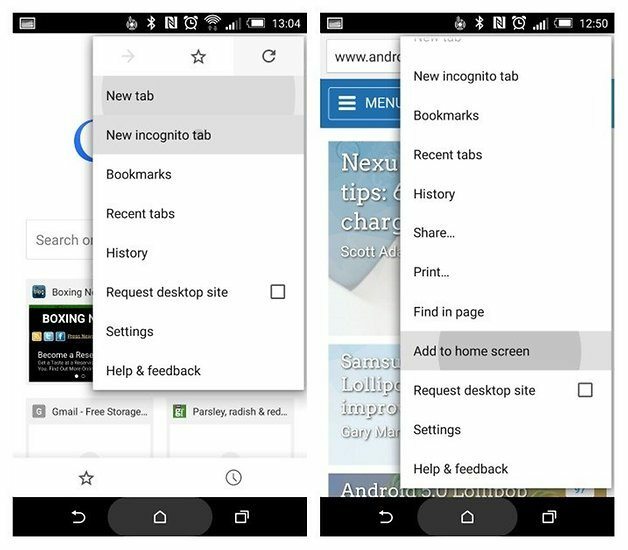 If you want to keep this Chrome tabs separate from the apps and want to see the tabs box in the browser, then open Chrome on the device and tap the menu at the top right and follow Settings > Merge tabs and app, then make it off. The tabs box will be back to the same position. When you get the tabs box back, it would be easier for you to quickly switch between the multiple tabs. Also, you may be able to see the stacked list of opened tabs. 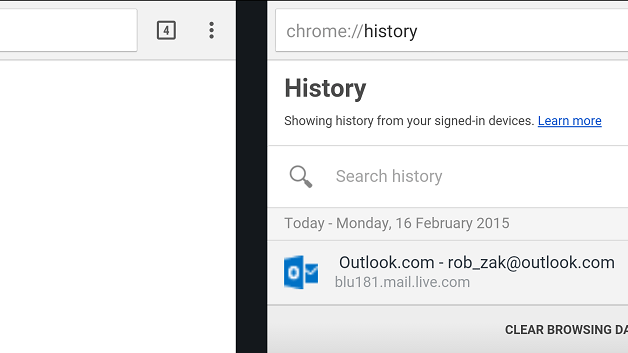 To enable the syncing operation in Chrome for Android, tap the menu icon as Chrome > Settings > Accounts > email address, then select Sync slider on the top portion of the screen. 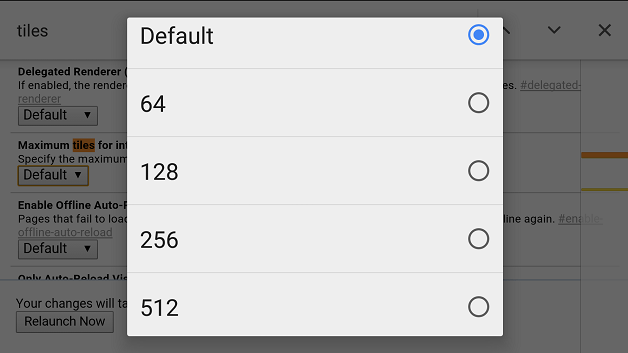 To sync the same with other devices like Mac, Windows or Linux, you just need to open the Chrome and select the menu icon then follow Settings > Sign in > Advanced sync settings and be sure Bookmarks and Tabs are marked check. 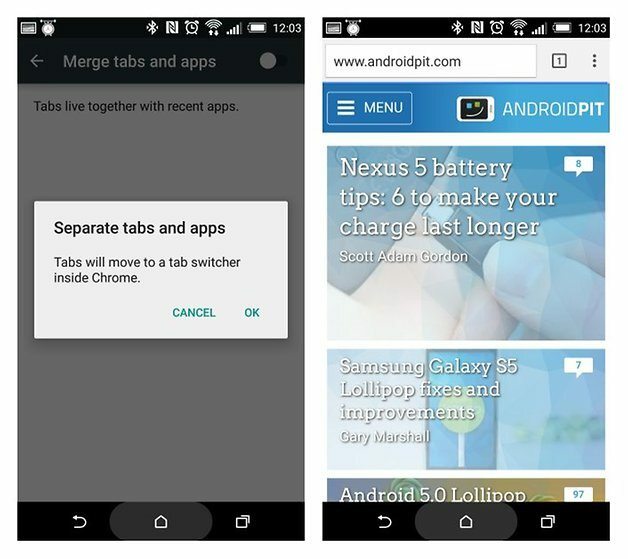 If you want to open the tabs on Android device, then just tap the menu icon on the Device in Chrome and got to the recent tabs, then select the device you want to open tabs. It could be called as a trick for a shortcut use of the Chrome browser. 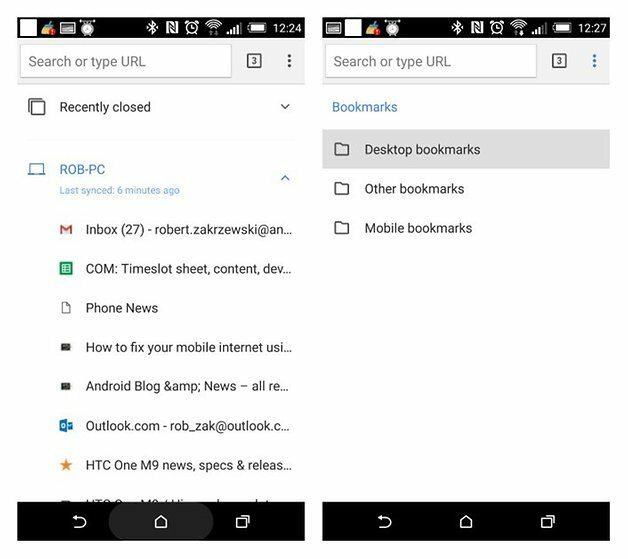 If you want to navigate the Chrome menu quickly, then tap and hold the finger on the menu option in the Chrome and slide the finger down to select the right option for you. 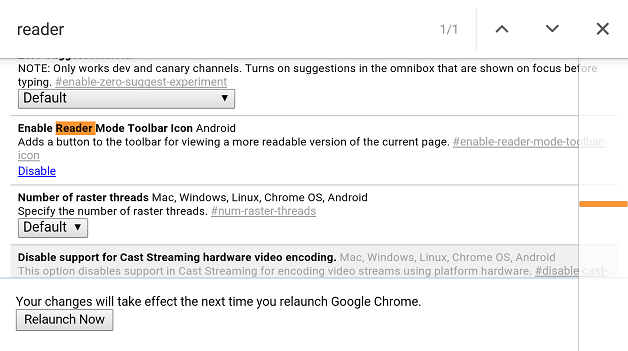 This is one of the most impressive features of Chrome which is generally overlooked by many users. It can make you reduce the data usage just by shrinking sites. 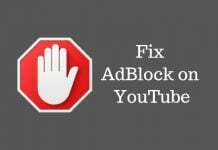 This works effectively by reducing the data usage up to 34 percent. 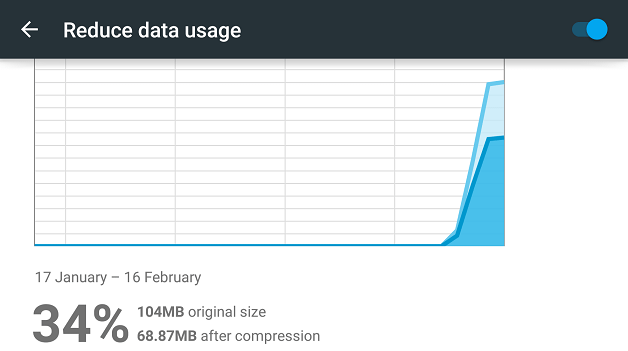 To enable this awesome feature, just tap the menu icon in Chrome and go to Settings to scroll to the bottom and tap on the Reduce data usage option. Just turn it on and you would be amazed to see the graphical result of your usage of the data. There are many websites that are not optimized according to the mobile usage. 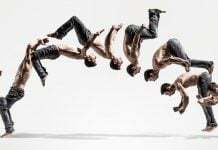 To work effectively on this shortcoming, tap the URL bar and type chrome://flags. You have to ignore some of the warnings that would come up. 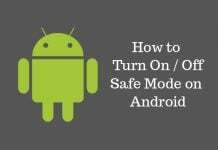 Move ahead and tap the menu icon and then select Find in page, then type ‘reader mode’. With this flags list, tap the Enable in Enable Reader Mode toolbar icon, then tap Relaunch Now at the downside of the page. An icon with letter ‘A’ would appear in the toolbar whenever you enter the site which could be optimized and you have to select the same icon to enter in the Reader Mode. It is really the need of the time when you are not having access to the internet and you have nothing to do except playing the game but due to these limitations you cannot even pass your time by playing the game. 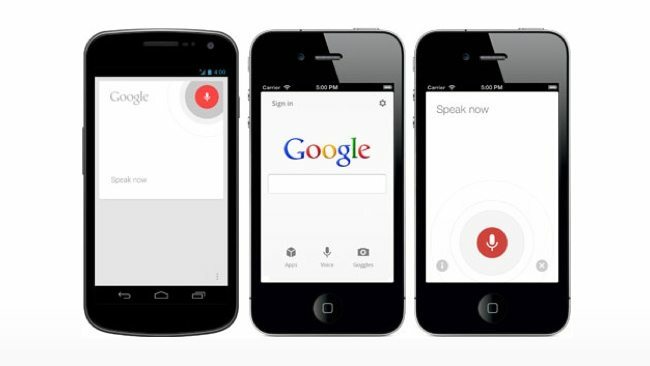 Now, Google has added a very attractive feature where little addictive games are added to Chrome for Android browser. 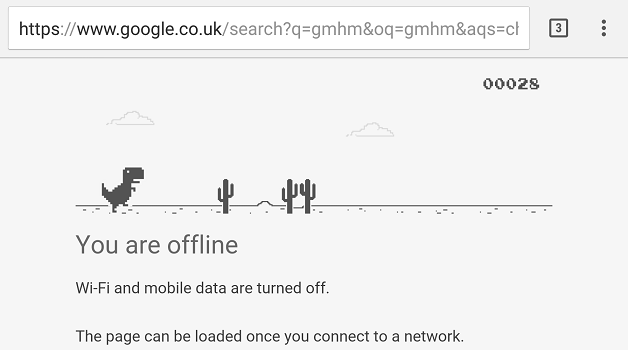 So, whenever you get the message of being offline in Chrome, then just tap on the dinosaur icon above the message to start endless runner game. Tap the screen as the dino approaches the cacti to come in. This is really going to make the things simpler for you. This feature enables you to follow those favourite sites of yours which you access more with the latest updates. You just need to navigate the site in Chrome on the device and tap the menu icon and select Add to home screen option. An app-like icon would come on the screen and that would take you directly to the exact website. This is another attraction of Chrome on Android where chrome://flags is the best way to dedicate more RAM to Chrome. In default it is 64MB but with this feature, you would find Chrome working very fast. Just follow this link in Chrome and tap menu icon to Find in page and type ‘maximum tiles’. Tap the drop-down menu below Maximum tiles for interest area and select the RAM amount as per your wish and finally select Relaunch Now. This would really make your things very simple. 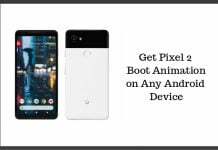 Instead of typing lengthy text, it is better to use the microphone of the device and you would be able to have the easy searching on the Chrome. On the address bar, you would find a small mic icon, you just have to select that and then speak the line which you want to search. 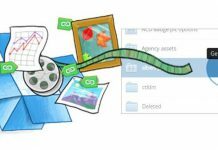 If you too have some more amazing Chrome tips, feel free to discuss it here!